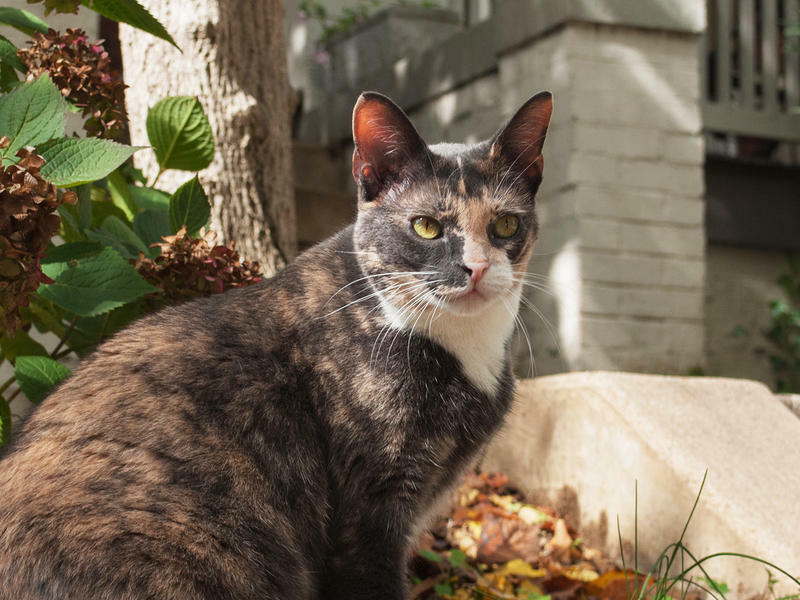 A coalition of groups in Washington, D.C., are attempting to count the cats in the district. The project is anticipated to take three years and cost $1.5 million. The groups hope the data will help improve efforts to manage the cat population. As Jacob Fenston of member station WAMU explains, "cats are controversial. ... felines have long been blamed for killing wildlife like birds and small mammals." In some cases, as The Washington Post reports, cats threaten protected or endangered species. But in other cases, they can be helpful at reducing pest populations, like rats. Various groups are working to spay and neuter stray cats or facilitate cat adoptions. Thousands of cats each year are spayed or adopted. But groups like the Humane Rescue Alliance "have little sense if their programs are the lion's share of adoptions in the city, or if their trap-neuter-return program is effective in helping to control the cat population," Fenston writes. It's not easy to gauge a city's cat population by eye alone. "Cats are hard to see," conservation biologist Tyler Flockhart told The New York Times. "You see very few cats when you're out walking around. And that's because they're secretive animals. When you see a cat, there is almost certainly more than one there." The project is unusual in both its scope — looking at the entire city — and its decision to include pet cats as well as feral ones. After all, the project website notes, "the cat population in any area is ... an interconnected and dynamic network comprised of unowned cats living outdoors, owned cats who may live either indoors or outdoors, and shelter cats who often move into or out of the other population segments." A statistical model to explore "the interactions between cat population segments"
The project also hopes to roll out an app allowing residents to snap their own images of cats, Fenston reports. Copyright 2018 NPR. To see more, visit http://www.npr.org/.